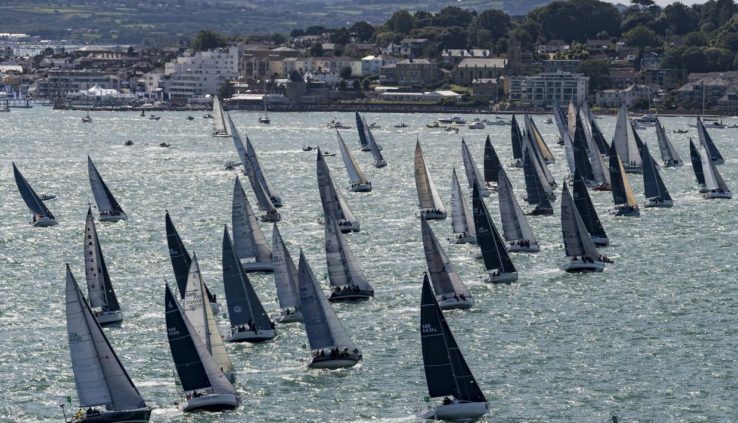 continued acceptance of applications for participation in the famous 605-mile Rolex Fastnet Race between England and Ireland, which is considered one of the toughest offshore races in the world. If exactly 4 minutes and 37 seconds. That was enough to bid list “Fastnet” – 340 yacht was closed. Latecomers – and it is still hundreds of applications put on a waiting list. It remains to be hoped that someone lucky will refuse to participate. The speed with which was filled the entry list, you will agree, impressive. However, this is not a record. Reception of applications for participation in the race-2017 (Rolex Fastnet Race is held every two years) lasted 4 minutes, 24 seconds! Among the fallen in the main list – yachts from 25 countries. Most of them – 201 – represent the UK. Followed by France (81 boat) and the Netherlands (33). As always in “Fastnet” will be attended by Russian boats. However, while the organisers Royal Ocean Racing Club (THE) – did not report the exact number. Recall that the “Fastnet” is from 1925. This time the rally starts on the 3rd of August – two weeks earlier than the usual period.